It’s time when shoppers are purchasing their Holiday Cards. 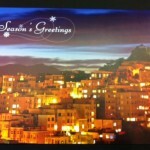 Since we’re in San Francisco, our local clients like SF City Scene cards and SF Golden Gate Bridge Holiday Cards. Below are two designs which have incorporated the Holiday and San Francisco. The above SF Holiday Card is embossed with Gold & Silver Foil. 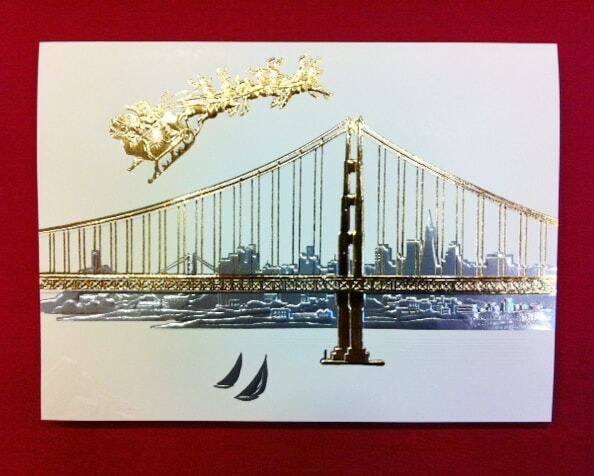 The bridge and Santa with Sleigh is in gold and the background city scene and sail boats are in silver foil. The card is blank inside for personalization. This is a locally made card by Paula Skene. 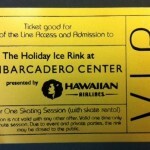 The above SF City Scene is embossed in gold, silver and gold foil. 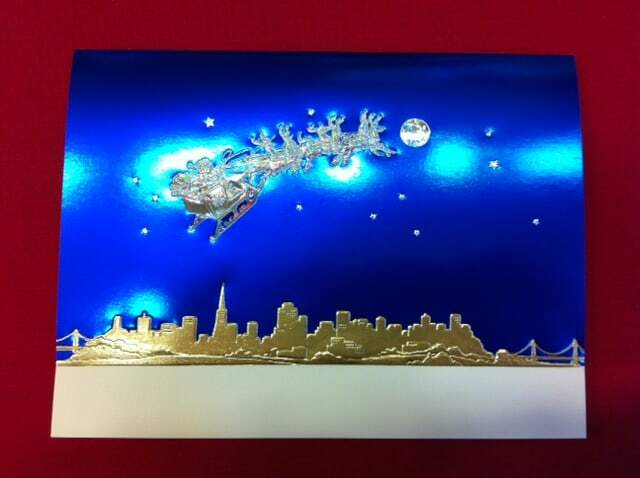 The night sky is in blue foil, the city scene is in gold foil, and the Santa with Sleigh, moon and stars are in silver foil. The card is blank inside for personalization. This is also by local San Francisco designer Paula Skene. These San Francisco designs depict our city and make for a perfect personalized holiday card for friends, family and business associates alike. For more Holiday Card designs please see our Holiday Card Category.